Stringing popcorn requires concentration and focus, and it allows seniors to form a soothing rhythm. String a long piece of thread through a large needle, and give it to your client with a large bowl of plain popcorn. Show them how to string the kernels if they need a little help. Make sure you or someone else is supervising during this activity, as the sharp needle could cause a small injury. 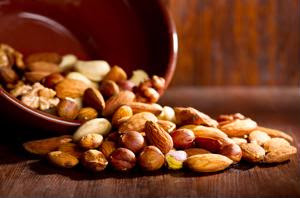 People with dementia find sorting to be a very calming process, so sit them at a table with a bowl of mixed nuts. If you want to stave off a mess, provide ramekins for them to sort nuts into. For paper chain making, give clients paper, dull kids' scissors and a stapler. Supervise them while cutting the paper and make sure they don't injure themselves with the stapler, but try to let them handle the activity mostly on their own, as it will help with their dexterity. Then hang it together to celebrate the season!